The trail is to be ridden in a clockwise direction unless otherwise noted at the trailhead. The trail circles the entire property and encompasses everything from gravel farm roads, hills, and singletrack. It has been described as a XC World Cup style course. 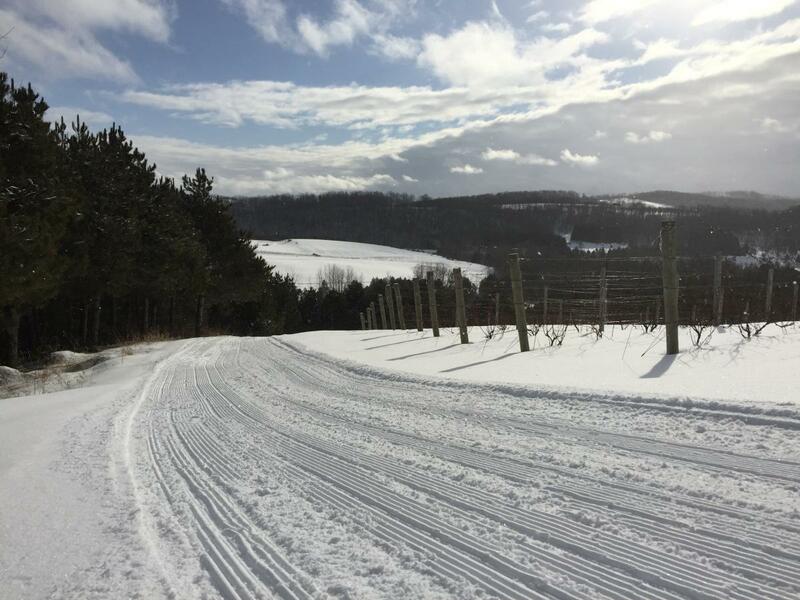 Yes it can be a challenge with the climbs and some technical singletrack, it also has a beginner loop that allows for some scenic views of Michigan wine country. Review: If you like drinking more than riding then this is for you. The trail is short but well done. If your'e in the area anyway and want to drink some adult beverages this place is worth it. If you want ride more than drink then you will be disappointed. 45 North Vineyard Trail MTB Trail 4.00 out of 5 based on 2 ratings. 2 user reviews.